Enjoy this Large Strappy Tote Set that provides style and function. 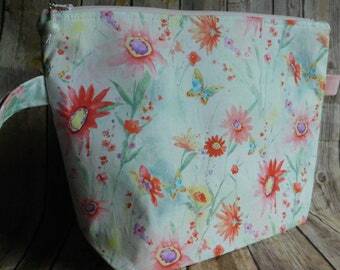 Bag is constructed with quality cotton with a canvas bottom, backed by heavy weight interfacing, and will stand on it's own. The coordinating cotton lining finishes the bag and gives a look that is meant to impress. Features a zipper closure that allows you to keep items inside contained. The matching accessory bag is great for your smaller such as notions, medication or Chap Stick, and also features a zippered closure. Great for carrying larger projects, or to carry multiple small ones. 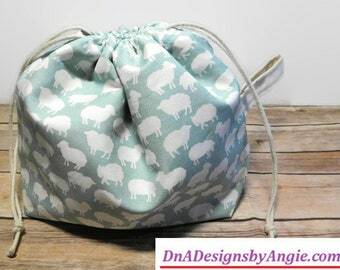 Please note all items are handmade, and dimensions could vary within 1"
Okay I can't say enough about her wedge bags. They are simply my go to bags. Keep projects clean, organized and ready to go. I put the yarn for upcoming projects in one, and keep them in a cubby shelf and save myself digging later. I also have a few wips waiting patiently for their turn, and when I pick them back up, no time wasted. For my controlled chaos life, simply a Godsend. Add in the beautiful fabrics, and stunning craftsmanship, and it's a little bit of joyus luxury for every day living. This is a complete cuteness overload. I kinda knew better, because I have a cat that keeps trying to get in it to 😴, but it makes my so happy every time I see it, it's worth the competition with the 🙀. Stays put, and is so easy to use. I am so pleased with this bag. 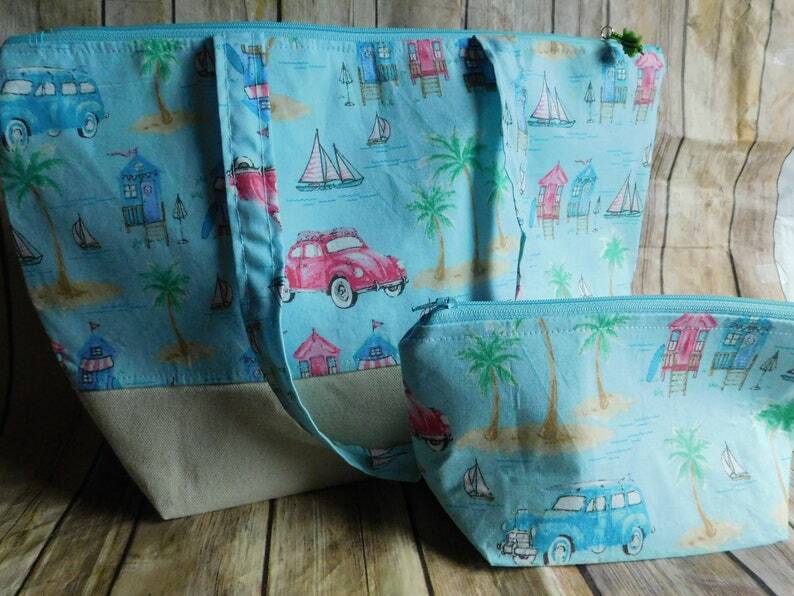 The print is very fun and the coordinating notions bag is a bonus. 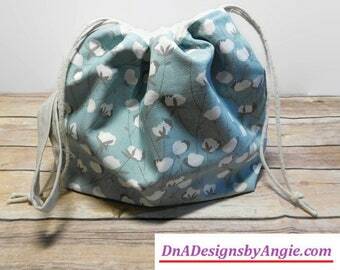 It is well made and the little crab bead on the zipper pull is a perfect finish.